Physical therapy is an excellent non-invasive option for pain management and relief treatment. 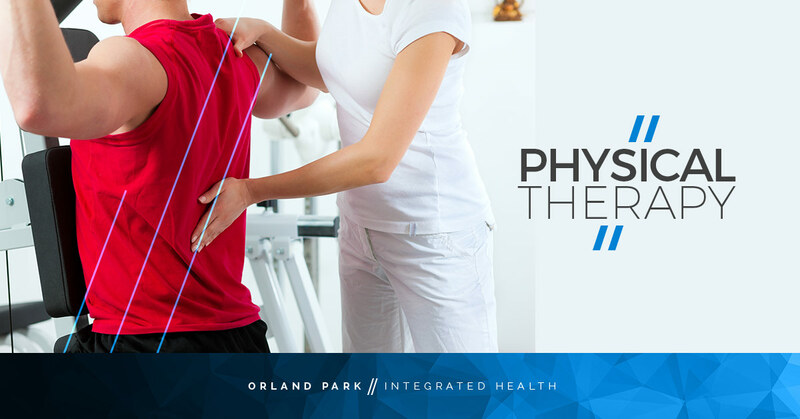 Whether your pain is long-term, chronic, or is related to a recent injury, Orland Park Integrated Health can help you move toward a pain-free life. Physical therapy is effective in treating sports injuries, osteoporosis-related pain, lower back pain, upper back pain, and joint and soft tissue injuries. Our physical therapists can work with you to create an individual treatment plan consisting of various movements and exercises that, over time, can increase strength, range of motion, and other body mechanics while reducing your pain. Physical therapy is just one piece of our holistic and integrative approach to healing and reducing pain. Our services also include manual spinal adjustments, chiropractic care, spinal decompression, acupuncture, and massage therapy. All of these pain treatment modalities work in synergy to enhance each other and treat the whole person. If you’re in pain due to an injury or medical condition, contact us today to schedule an appointment with our experienced integrative medicine doctors.